The South Pacific Tourism Organisation (S.P.T.O) and the Deutsche Gesellschaft für Internationale Zusammenarbeit (G.I.Z.) 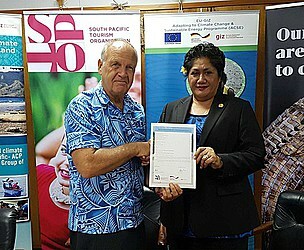 GmbH will enter into a partnership to collaborate on strengthening tourism in the Pacific region. The long-term objective is to advise the tourism industry, in particular the hotel sector, on renewable energy and energy efficiency options. Signing a Memorandum of Understanding (M.O.U.) in Suva, GIZ Programme Director, Dr. Wulf Killmann and S.P.T.O Board Chair, Papali’i Sonja Hunter expressed their excitement about this new collaboration. “Through this partnership, S.P.T.O will seek out opportunities to organise workshops and seminars in collaboration with G.I.Z. so we can provide our tourism industry stakeholders with an understanding of best practices for renewable energy solutions and energy efficiency,” Papali’i said. Dr. Killmann said G.I.Z. through the S.P.C./G.I.Z. 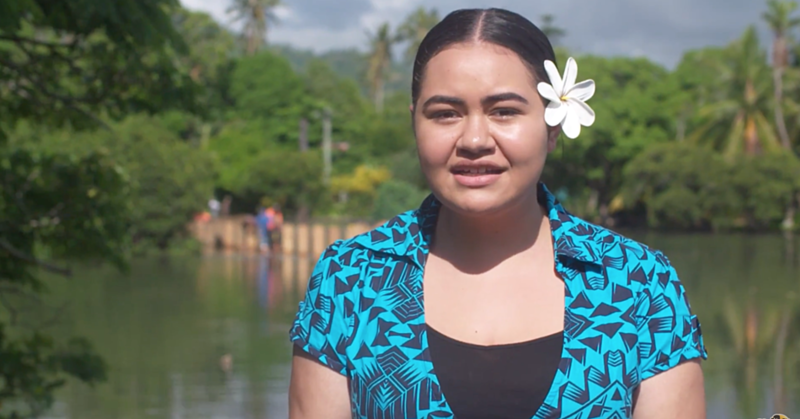 Coping with Climate Change in the Pacific Islands Region (C.C.C.P.I.R.) Programme was looking forward to collaborating with the S.P.T.O. and the region’s tourism industry. Director General of the Pacific Community (S.P.C. ), Dr. Colin Tukuitonga, welcomed the collaboration and looks forward to enhancing climate change adaptation and mitigation efforts in the tourism sector. 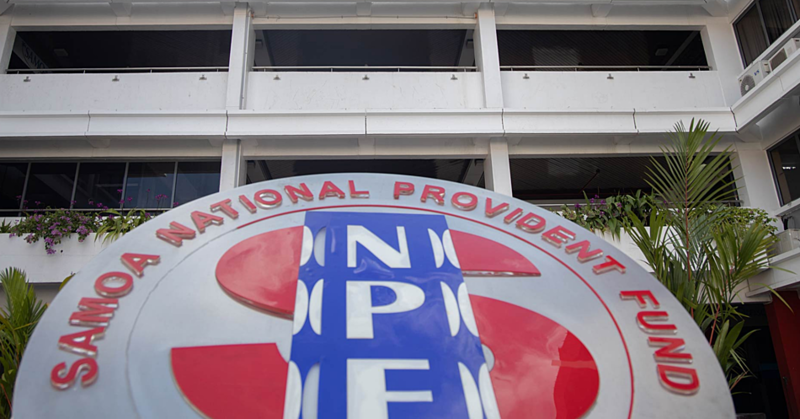 The next step in this partnership will be to consult S.P.C. through this S.P.C./G.I.Z. programme and S.P.T.O.’s own partnership. “Tourism is a major income earner for Pacific Island countries and provides livelihoods for many Pacific Islanders. 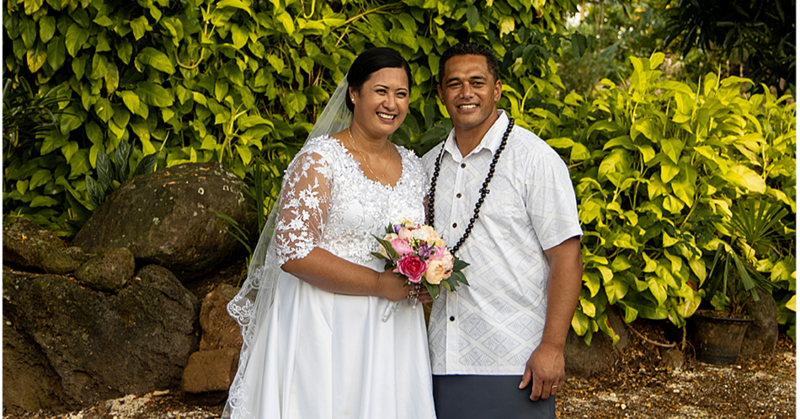 With climate change affecting communities across the Pacific without prejudice - promoting energy efficiency and substituting fossil fuel generation with innovative solutions contributes to reducing emissions and mitigates against climate change,” he said. Papali’i added that the private sector is very important to S.P.T.O. because of their role as drivers and engines of our Pacific economies. We want to ensure that our tourism industry stakeholders are fully equipped with the right resources and best practices to enable them to become energy efficient. “There is so much that our members can be doing to save energy and to utilise power saving initiatives so we are really pleased to be able to sign this agreement today and to start this important partnership. The M.O.U. outlines the partnership where both parties seek to share, enhance and complement each others strength, expertise and resources in addressing the areas of cooperation. She highlighted the significance of the partnership as S.P.T.O. seeks to advance national, regional and global efforts in achieving the Sustainable Development Goals. “For S.PT.O., this is a positive step forward in celebrating 2017 as the International Year of Sustainable Tourism for Development, as we strive to ensure that our tourism businesses are viable, our environment is protected and our culture is intact,” she added. S.P.T.O. recognises that climate change is one of the biggest threats to developing tourism in the Pacific and joint efforts presented by the M.O.U. to reduce energy consumption and consider renewable energy options is a step in the right direction for the region.